What is Priced Out Forever? Priced Out Forever is an informative, easy-to-use resource designed for you. This site exists to dispel myths and spread the truth about the housing market, and what it means for you. A majority of the information contained within Priced Out Forever is not specific to any one state or nation. Although the adage "all real estate is local" is true to an extent, there are some characteristics that apply to all housing markets, and some patterns that all housing markets will follow. The home buying process has become full of superstitions that have no place in an educated society. Many people accept certain "truths" on faith alone, without examining the readily available evidence. In many cases, the evidence clearly disproves the accepted "truth." Priced Out Forever is here to present that evidence in a concise, compelling, and easy-to-understand format. Priced Out Forever exists to shine a bright light on the truth. For more information, click learn. Who contributes to Priced Out Forever? If you are interested in becoming a contributor to Priced Out Forever, send us an email at POF@PricedOutForever.com. Tim (a.k.a. "The Tim") founded Priced Out Forever, and is the primary contributor. He designed and maintains the website, wrote the majority of the content, and assembled the remaining team. Tim also runs the successful real estate blog Seattle Bubble, which contains analysis and commentary about the Seattle-area real estate market. Tim can be reached via email at Tim@PricedOutForever.com. 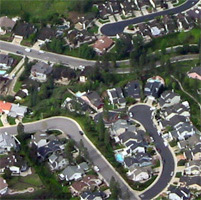 Chuck P. is the founder of the popular Southern California Real Estate Bubble Crash Blog. Chuck can be reached via email at Chuck@PricedOutForever.com. Ernst Stavro Bloviator (aka "Eleua") has been following the rise and fall of the speculative "New Economy" since 1998. He is a frequent contributer to Seattle Bubble and is the operator of Clearcut Bainbridge. His emphasis focuses on shattering the insane notion that a nation of 300 million people can speculate their way to prosperity, or that any particular city (Seattle) can insulate itself from economic reality by proclaiming that it is "special." His hobbies are backcountry hiking, woodworking, and short-selling the overpriced, speculative darlings of the "New Economy." Eleua served in the Balkans dispute as a Naval Aviator and currently works in the air transport industry. Eleua can be reached via email at Eleua@PricedOutForever.com. David Jackson is a housing bubble blogger who runs the Bubble Meter and David Lereah Watch Blogs. These blogs have been mentioned and quoted many times in the media. He has been following the housing market for about 2 years now. He is predicting further price declines in the bubble markets for a few more years. Mr. Jackson works in information technology. David can be reached via email at David@PricedOutForever.com. All photographs and graphics featured on Priced Out Forever are original works by Tim. High resolution versions are available upon request.